At 22:35 (10:35 PM) another shallow earthquake struck the same area (distance of 40 km from Kimbe). Although not very powerful, these kind of shallow quakes near modern towns in third world countries can create a lot of damage. Kimbe is the capital of the province of West New Britain in Papua New Guinea. 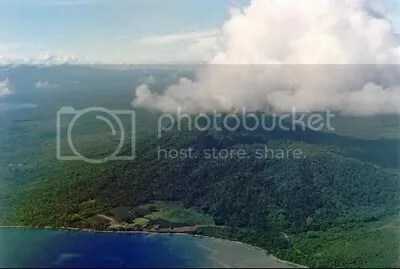 It is a port town on the great Kimbe Bay which boasts more than 60 percent of the coral species of the entire Indo-Pacific. The bustling town of Kimbe is the third largest port in Papua New Guinea and is the fastest growing city in the South Pacific. Accommodation in Kimbe is readily available in many high-class resorts and hotels, as well as many budget guesthouses and motels dribbled along the province. Kimbe Bay is set in a tropical setting with coral reefs and live-aboard diving expeditions that attract tourists world-wide. 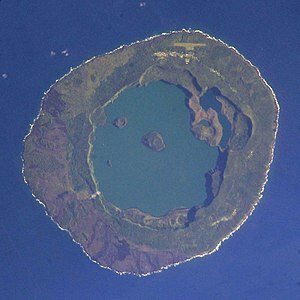 Active volcanic cones encircle Kimbe Bay on the island of New Britain. Since the Mariana Islands aftershocks message below, 6 aftershocks varying from M 4.7 until M 5.9 were felt by the fish in the ocean above and around the epicenter . A lot of earthquakes today, but luckily most are away from houses and people or are very deep in the earth.